Singapore Banks Are Revising Their Home Loan Interest Rates Upwards Like MAS Expected. What Else Should Singapore Property Owners/ Buyers Know Now? 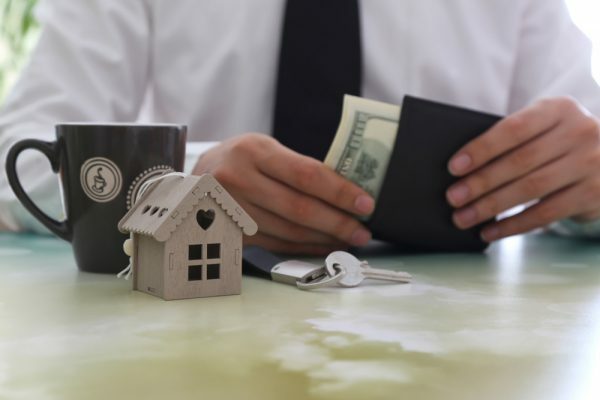 The money that you borrowed from the bank to buy your home was probably the most significant financial decision that you ever made. Your repayments will continue for years into the future, and it is likely that the instalment to the bank will form a large part of your monthly budget. You may be surprised to learn that the repayment amount is directly connected to the Fed rate that is periodically declared by the U.S. central bank. ⇨SIBOR – this is an acronym for Singapore Inter-bank Offered Rate. It is the rate at which the country’s banks lend to each other. ⇨ SOR – the Swap Offer Rate is a variation of the SIBOR that takes the relative value of the U.S. dollar vs. the Singapore dollar into account. It is similar to SIBOR but more volatile. ⇨ Board Rate – this is the bank’s benchmark rate. While market forces determine SIBOR and SOR, a bank is free to set its Board Rate. However, in actual practice, it is influenced by the rate that other banks charge. SIBOR and SOR are publicly announced. So, if your home loan is linked to one of these, you can verify the change that the bank has made in your monthly instalment. However, as banks set their Board Rates, they are free to make changes at will. What does all this have to do with the U.S. Fed rate? Fed rates strongly influence SIBOR, SOR, and the Board Rate of the banks. 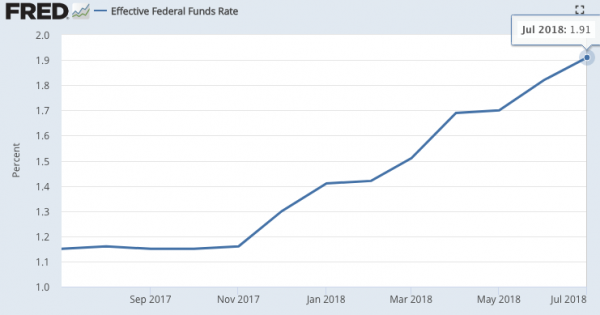 The Effective Federal Funds Rate has increased from 1.1% to 1.9% in the last 12 months. In the same period, 3-month SIBOR has risen from 1.119% to 1.632%. You can be sure that the Fed rate and the home loan rates in Singapore will continue to move in a synchronised manner in the months and years ahead. The latest Fed hike was in June 2018. If the American economy continues to perform well, there could be two additional hikes this year. Unfortunately, that’s not the last that you will see of the Fed rate increases. Analysts estimate another three hikes in 2019. But what if I took a fixed rate home loan? Many homeowners don’t like getting unpleasant surprises in the form of higher monthly instalments for their home loan. If you fall into this category, you could have opted for a fixed rate home loan. So, does that insulate you from increases in the Fed rate or SIBOR/SOR/Board Rate? No, it doesn’t. In a fixed rate home loan package, the interest remains constant for the first one to five years. After this period is over, you are moved to a floating rate. A fixed rate home loan for a 20- or 30-year term offers a constant monthly instalment only for the first few years. You will pay an extra S$288 every year for a 0.1% increase in the borrowing rate. Over the 25-year term that’s a sum of S$7,200. But what if the rate goes up by 1% instead of 0.1%. The extra amount payable by you would also go up by a factor of ten. You can check the impact of an increase in rate yourself by using this calculator. Is there any way that you can protect yourself from the rate increases that are expected in 2018 and 2019? It’s practically impossible to insulate yourself entirely from an environment in which interest rates are rising. Your home loan costs are bound to go up. But there are some measures that you can take to mitigate the impact on your finances. ⇨ The difference in the rate charged by the existing lender and the new bank – switching lenders for a 0.1% reduction is probably not worth the trouble. But if you can find a bank that is offering, say, a rate that is 0.5% or 1% lower than your existing rate, you should consider the option. ⇨ Your lock-in period – this could be a deal-breaker. If you want to switch lenders when you are still covered by the lock-in period of your existing loan, you could be liable to pay a penalty of 1% of the loan amount or even more. This may make the transaction unviable. Don’t want to go to the trouble of refinancing? Another option that you have is to simply “reprice” your loan. While refinancing means switching banks, repricing is a much easier option. Your existing lender lowers your borrowing rate. Of course, it is necessary that your lock-in period is over. Additionally, you could have to pay an administration fee. It’s worth exploring this option. You benefit from a reduction in the rate that you are required to pay for the remaining loan period. Your bank gains as well. It can retain your account even though it has to sacrifice a part of its profit. If you have extra cash, you could consider repaying a part of your principal amount early. But check if there is a prepayment penalty. The additional amount that you have to pay your bank could wipe out any benefit that you get from your savings in interest. Is Singapore’s banking blue chip stocks worth investing in for 2018?